On the shore of the St. Lawrence Seaway. Staff was friendly, but be sure to ask for Good Sam and Passport discounts. WiFi was marginal. Small patio that looked out on the water down a steep hill. Water and electric hook-ups were way to the back I had to go off the boards they had to connect. I will look elsewhere on my next trip. We've camped here before and it's the friendliness of the owners as well as the cleanliness of the campground that keeps us coming back. 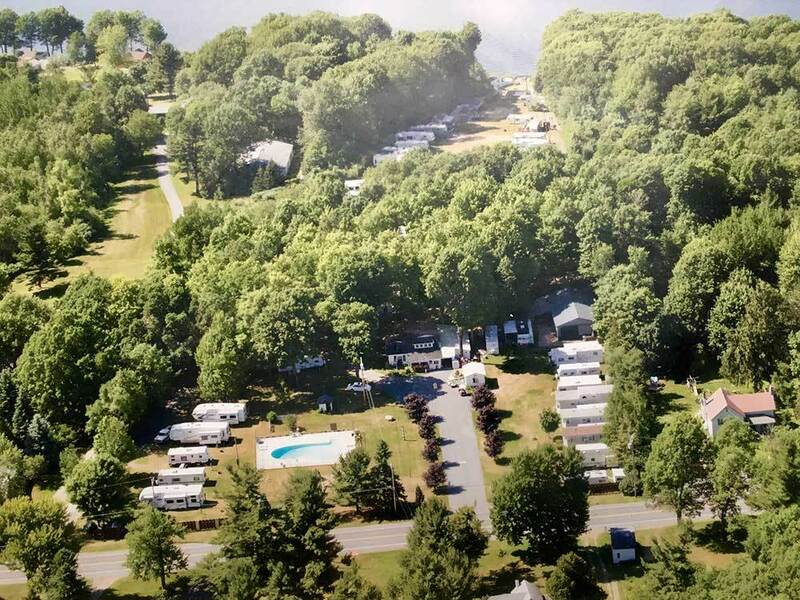 The sites are well maintained, We've had a pull thru site as well as a back in site - both were easily accessed - the owner tries to match your RV to the site dimensions so that you are comfortable. Fire-pits are clean (one side of the campground has stone "pits" while the opposite side utilizes large tire rims - if you want to cook over the fire, you will need to supply your own grate. The campground is located just outside the village of Clayton so you can easily experience all the village has to offer - or you can relax and watch the ships travel the St Lawrence Seaway.